An article for the Christian Post, titled, “Religious Needs Drive a Market for Borrowing” goes over some speculation about the amount of borrowing that churches are doing lately. I don’t think that there’s anything wrong with “churches” borrowing, I just hope that they counted the cost before they go into debt like that. The amount of borrowing that churches are doing do not go away overnight. They are 30-year mortgages, that would seem in my opinion, outlast the lifetime of some churches. I know my church had started our church with a 16 million dollar facility over a year ago. Now, it’s down to 8 or 9 million. I hate to say that churches are wrong putting that much money into buildings, because i know there is a need for a safe social place for teens and young adults to hang around. Most of us don’t complain about the money that was put into the YMCA because most of us don’t think twice that all of the money that was used to support the YMCA came from churches. The YMCA foundation was built to combat the social peer pressure and social illness that worldliness had to offer. I think it’s dangerous that we are banking on future attendance of our congregation. I think our church started sweating a little bit because we had about 3 active NFL players that gave tithes in our congregation when we decided to build our building. Now one of them was traded, another became retired, and the last one i think left. Right after all that happened, it was amazing to hear the amount of time that was spent on teaching about tithing. 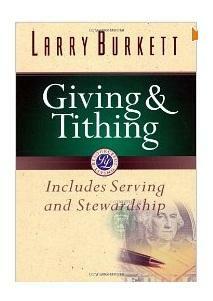 I don’t really know why the number of tithing sermons became more often. That was just my guess. So anyways, you can see that many churches are somewhat betting on at least the attendance of their people. I hope things work out for the churches that do spend lots of money, but more than anything, i hope that what they are doing is not all about money, but about people. I was wondering where you obtained the statistic that “the average church organization will not last as long as the mortgage.” I would like to use it in a sermon but need to know its source before I am comfortable doing so. Thanks! show that pastors stay an average 8.2 years. It looks like i contradicted myself in my blog post above. i first said it’s my OPINION that SOME mortgages outlast the church, and then further in the post say that statistics state the average church will not outlast the mortgage. What was i thinking? I edited that post to correct myself. haha, no problem, just clarifying. Thanks for the quick response and compelling discussion! I would not mind seeing churches go for profit and stop letting the government control what ministers say. Then churches could build their own grocery stores and sell their own stock. I have had this Idea for almost 20 years. A for profit chuch might be more free from the government and might have a more powerful voice to enfluence the goverment for good. Christians would begin spening their money in more christian establishments to support the free church. They would feel free to denounce anyone including the President on every election day. A taxed church might not be a bad idea. Should church members be told to take care of their family first? 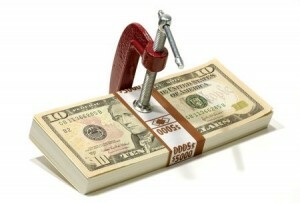 Tithing can be difficult for many people especially if they don’t have a regular income.